Caravan ‎– The Best Of Caravan "Live"
Concert recorded at Croydon, Fairfield Hall on September 1st, 1974. The concert was recorded, and mixed shortly thereafter with a view to release it, but the project was finally shelved. One track "For Richard", however was used in 1976 on the retrospective collection "Canterbury Tales". 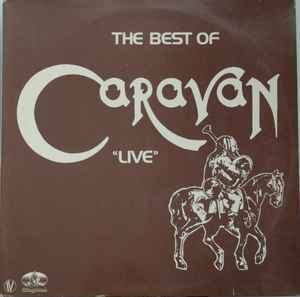 The complete concert was eventually issued in France only as the double album "The Best Of Caravan Live" (1980, Kingdom). It is only in 2002 that it was made available worldwide — with the addition of the previously unissued "Chance Of A Lifetime" — as the "Live At Fairfield Halls, 1974" CD, with a new artwork.